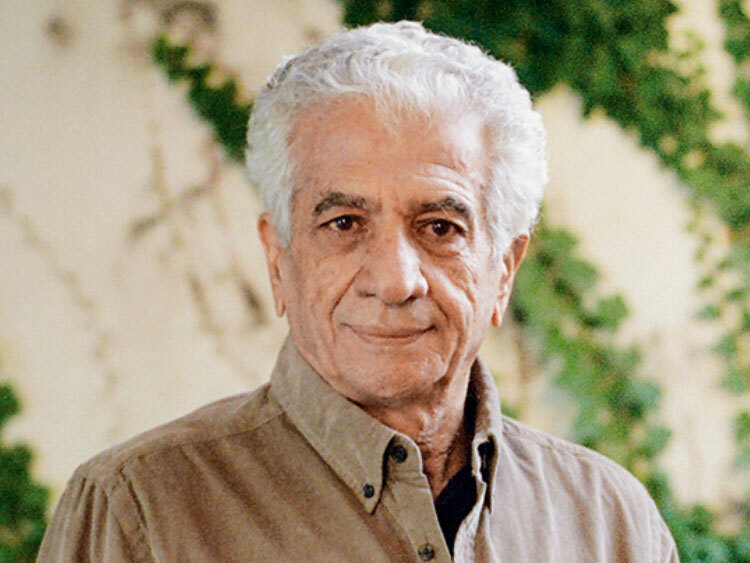 Foremost Iranian artist, Parviz Tanavoli, was a founder member of Saqqakhaneh a term coined for an artistic movement which began in 1960s Iran and which sought to integrate popular symbols of Shi\'a culture in art,a spiritual Pop Art as it has been described. He has long been inspired by the word Heech ¬ meaning nothing - which has created in numerous and ever more ambitious forms. It has been said that the word symbolizes for him both an ambivalence towards the past and a sense of meaningless or dissolution with an inadequate present. The letter forms are in the traditional Persian script nasta\'liq while the cage alludes to the Saqqakhaneh itself, a ceremonial public structure constructed in memory of thirsty Shi\'a martyrs at Kerbela which gave its name to the movement. Upon graduating from the Brera Academy of Milan in 1959, Tanavoli taught sculpture for three years at the Minneapolis College of Art and Design. 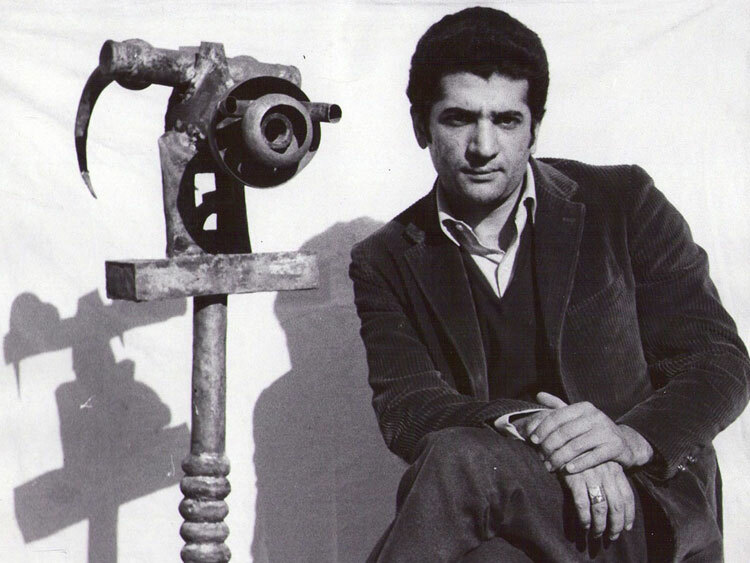 He then returned to Iran and assumed the directorship of the sculpture department at the University of Tehran, a position he held for 18 years until 1979, when he retired from his teaching duties. Since 1989 Tanavoli has lived and worked in Vancouver. 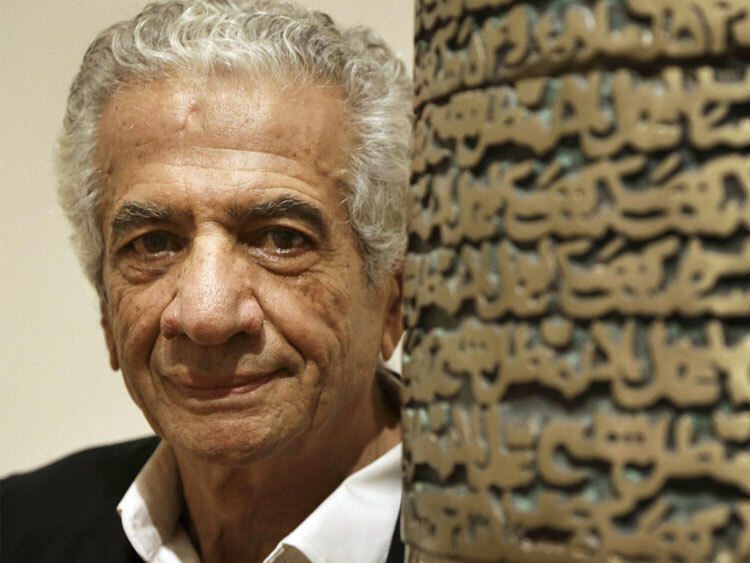 His latest solo exhibition was a retrospective held in 2003 at the Tehran Museum of Contemporary Art. Prior to that he had held solo exhibitions in Austria, Italy, Germany, United States and Britain. 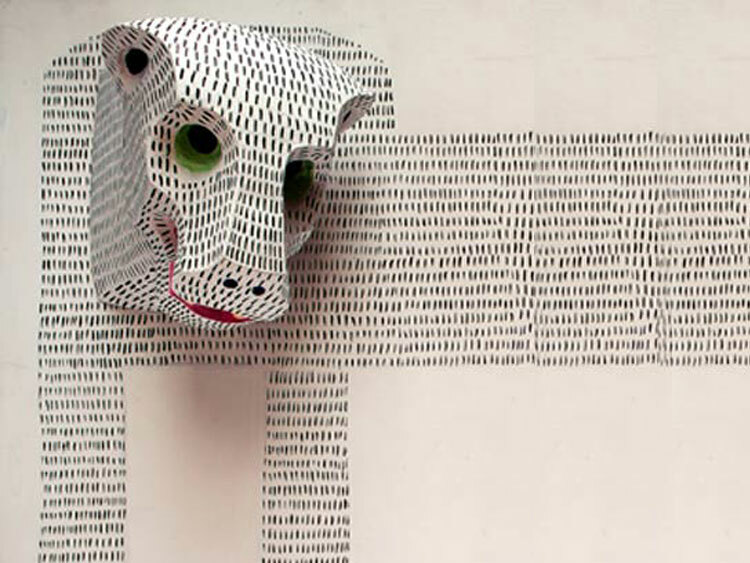 Tanavoli has been in group exhibitions internationally. His work has been displayed at the British Museum, the Grey Art Gallery, New York University, the Isfahan City Center, Nelson Rockefeller Collection, New York, Olympic Park, Seoul, South Korea, the Royal Museum of Jordan, the Museum of Modern Art, Vienna, Museum of Modern Art, New York, Walker Art Center, Minneapolis and Shiraz University, Iran. 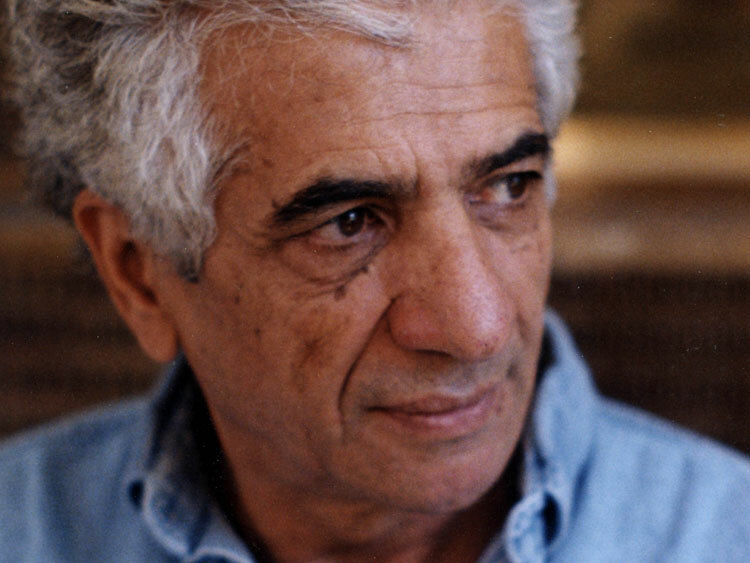 He belongs to Saqqakhana group of artists who, according to the scholar Karim Emami, share a common popular aesthetic. 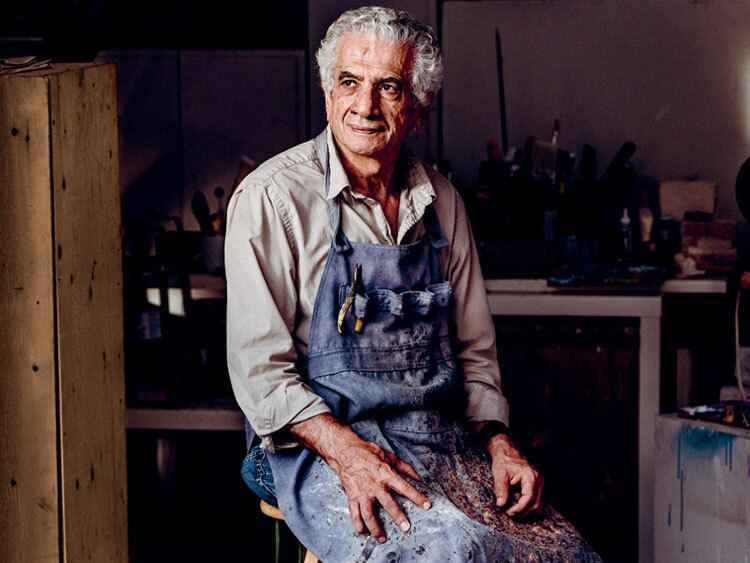 He has been influenced heavily by his country\'s history and culture and traditions, (he was once cultural advisor to the Queen of Iran[disambiguation needed) and has always been fascinated with locksmithing. In 2005, he created a small piece of sculpture called Heech in a Cage to protest the conditions of the American-held prisoners at Guantanamo Bay detainment camp and in 2006 began work on his piece to honour the victims of the Israeli-Lebanon war. Locks from Iran, Washington DC (1977).